Jumpdates celebrates it’s 17th Year in Free Online Dating! Jumpdates is celebrating its 17th Year in the Free online Dating! We have come a long way since then and growing in numbers. 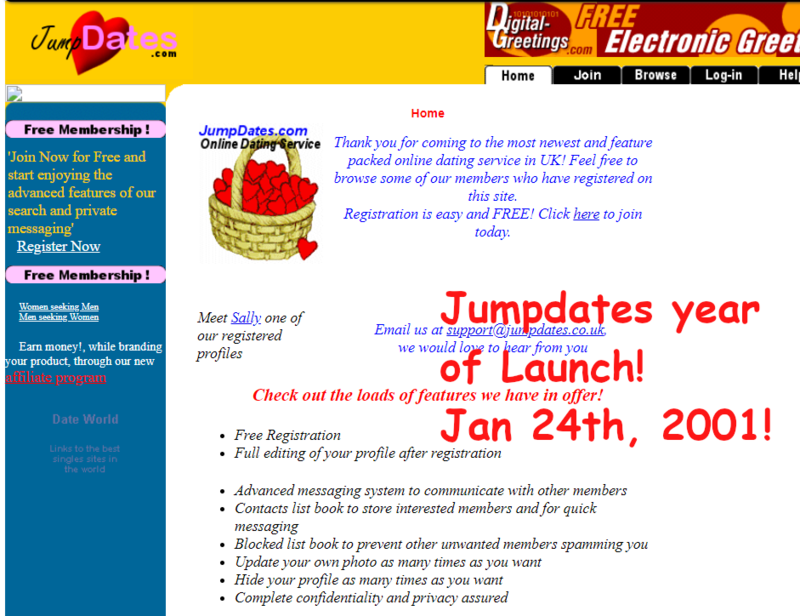 Checkout a brief history of Jumpdates since its inception in Jan 24th, 2001. 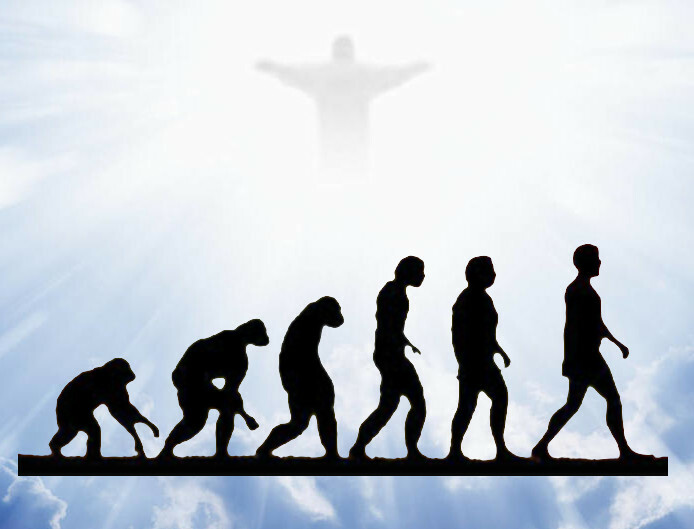 There have been heated debates in the last centuries over the subject of evolution and the belief in the existence of God. Neither camps have come out gracefully from these debates and neither are likely to win their arguments for the foreseeable future. The Jumpdates ThinkTank provide an opinion as to why this maybe so, please continue reading. Are we living in a progressive society that benefits us all? We live in a society that is dominated by technology and at the heart of this technical movement are the communication platforms that enable people to be totally immersed in a virtual world. 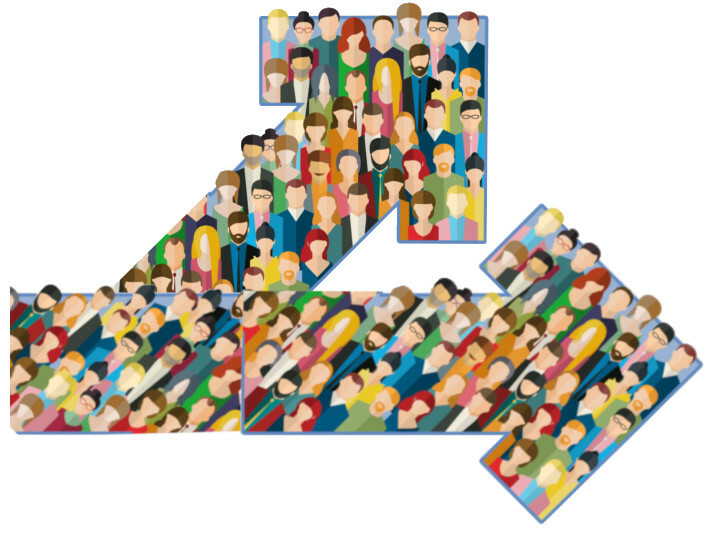 Most people’s world now extends way beyond a handful of people through the social media. This enabling technology has touched people in a very humanistic way changing and adapting to their lifestyles. Do you belong to a category of ‘mass path’ people or the independent thinkers that can foresee the future? I had followed the run-up to the election since no person in US could ignore the deluge of insults and insinuations that were thrown by each party (Clinton & Trump) on a daily basis. My first opinion of Trump was mixed and quite surprised that such a person of this brazen personality and character could ever take center stage let alone make a president. I began to wonder a life of Trump as president and based on his talks how he was anti this and ant that, I became terrified of a third world war under his leadership. As much as two months ago, there was no way that ‘normal’ people would actually vote for this kind of a person into office, people just won’t let that happen,…so I thought. As the election unfolded on Nov 8th, I began to have an uncomfortable feeling that all of media and every whimsical thought and prediction to the run up to the election was going to be squashed and vanquished tonight. I reflected back to the 2004 election where G W Bush stood for a second term despite all odds against him but was voted again for a second term as president. There was a very famous poster in UK following his victory where the headlines read ‘How can 50 million people be so dumb?’. Moving forward to the 2008 election where Hillary Clinton was up against Obama, there was one lingering thought in my mind that wasn’t talked about in the media at that time. I immediately had a sense that Clinton was not so trustworthy whereas Obama seemed open and transparent and my choice would go with Obama. Many people are now trying to reel themselves back to reality from the outcome of this election but the fact remains that nobody can predict the ‘mindsets’ of the people of America. I was even surprised to hear that 29% of Latinos voted for Trump despite his rhetoric for building a wall and deporting illegal immigrants. Maybe they have forgotten where they had come from and decided that this was their home to stay and protect. I actually thought that they could tip the balance for Hillary but I wouldn’t be surprised to learn that the new generation of Latino voters who are second descendants and have no affiliation towards their native countries. Many discussions are sure to take place (possibly years to come) of how an unlikely candidate such as Trump got into power. It occurred to me afterwards that the scruples and principles that people adhere to as core values that drives individuals and the interests of people as a whole no longer apply. I think what happened is that a majority of the Americans who usually abide by a core set of principles and values based on decency, principles, honesty, integrity etc actually thought it was sufficient to oust Trump out of this race but boy were they wrong. Many people were asked the question who they would vote into office and some replied that both could not be trusted and if they had to pick one of the lesser evil it would be Trump. It is clear that the stealth campaign engine of Trump had succeed in achieving their goal and the Clinton campaign possibly fell into complacency based on media polls and hype. In my opinion Obama and the first lady were the handful of folks who read the signals correctly and did their utmost best to avert the situation but it was not to be. When you are up against a businessman who is sharp, calculating and only built to win, you had better be on your toes. I learnt this having been in business for many years. 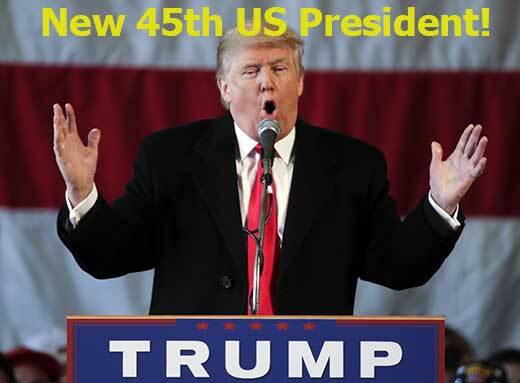 Credit must go to Trump.. he played a masterful game that tilted the American voters onto his side and left the other party bemused and still picking up the pieces. We often find ourselves in the doldrums and feel there is no way out of it. Many of us remain that way and unable to find a way out, but the answer is really very simple. You may have come across the words ‘I think and therefore I am’ from the famous 17th century French philosopher René Descartes. These words are loaded with information, in case you didn’t know. Basically the premise of the words was to convey to the person the rationale thinking of one’s own existence but it has much more implications as I will explain. Have you noticed how you now see the same make of car everywhere you go. You know this to be true because prior to buying this car you were not paying attention but suddenly your mind is so tuned to this make and model of car without you even knowing it or wanting it. Remember if you have been planning to buy this car for a long time, you will also see the same pattern, your senses to this car is heightened and you can fairly easily pick out this car without even trying. This also happens when you buy a car on a whim and you suddenly see these cars everywhere you go, even though if you are not looking out for it. You have placed these thoughts and images in your head and so the real world observations becomes heightened with this specific car and you cannot help but see more of these cars everywhere you go. To increase your subconscious mind on a particular topic or interest, you simply have to conjure it up in your mind and play it back regularly as you do when you have just purchased a new car. The brain takes over and materializes the same thing playing in your mind, call it mumbo jumbo but you know it actually happens in practice and not just for cars. If you have been stuck with something, you often find that giving yourself giving a break that helps you to come back and solve whatever you were undertaking. The mind needs ‘freedom of movement and expression’, which means that you can’t force the mind to come up with the problem whenever you feel like. Just like nature that always takes the path of least resistance and the most natural path, so does the mind. 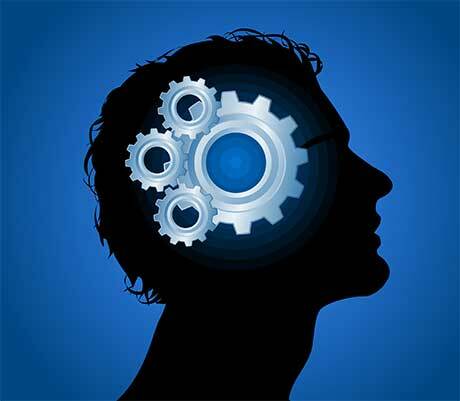 You need to ‘give in’ to your mind to come up with the answers and solutions. This is why yoga and meditation have been around for thousands of years, only because it works. How can someone possibly explain events like this! You may argue, sheer coincidence and a stroke of luck…or is it. Let’s do some simple maths here of the probability of such an event happening. The chances of this happening is 7 billion to one, that is more than that lottery! So the chances that both at that moment in time are thinking the same way is 1 in 7 billion and you thought the lottery was difficult! The explanation of such a thing is because the mind operates in a manner we have little knowledge about. Who is to say all the undiscovered ‘waves’ that have not been found in space are a result of this. The truth is when the mind is settled and uninterrupted you could be doing a communication dance and links with other people and you become momentarily surprised. The mind is truly amazing, do not underestimate it’s value. You often hear stories of how an entire day or week events came together and you just cannot give any possible logical explanations to it. I will provide a fitting example of a friend of mine who shared a story regarding this. He told me that there were a number of excruciating events on that day where he needed to juggle some things around and then catch a flight. Without going into the details of the story, he was able to fit everything into that day and astonishingly he was able to make it to the flight when he was absolutely certain that he would be nowhere near it. As the day unfolded, he was aghast at how the events unfolded and there were glimmers of hope of everything coming together. What my friend did, was gave way to ‘nature’ since he probably thought the whole day’s feat was an impossible task and he just let it go. As he saw the day unfolding and things getting done he became increasingly positive and confident and he was able to achieve the impossible task of catching the flight. He looks back on the day and he simply cannot understand how the turn of events came about for all of it to happen! What can we learn from his experience? A lot in fact.. what our minds are telling us is that if you have a purpose and desire and have at least a glimmer of hope of succeeding, you will be truly amazed and at how the mind and body can materialize those impossible tasks. Stay tuned for more enlightening posts!